* You can play even on the Apple TV! .Decluster Zero is simply an outstanding bit of joy. 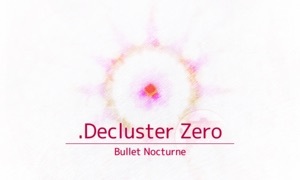 .Decluster Zero: Bullet Nocturne is a fantastic bullet hell shooter. '.Decluster Zero (dot decluster zero)' is a Japanese style bullet-hell shooter with abstract and pixelated neo-retro graphics. The game offers modern-classic bullet-hell gameplay and traditional Japanese beautiful bullet patterns. 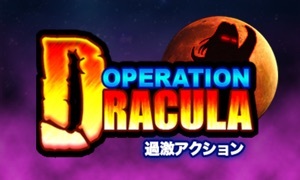 You'll get new bullet-hell experiences which are brought by Bullet-Canceling system. In the game, you'll encounter tons of bullets which are insane. It is impossible to keep dodging, but you can erase the bullets easily. A main mechanic is 'homing laser' with CANCELING enemy bullets around your ship. It requires gauge, but easy to fill. You should use the homing laser aggressively and it is the best way to defeat enemies. Moreover, there is a mechanic which slows down bullets around your ship in order to dodge them easily. You can also watch them in this app. 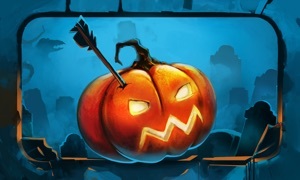 Tap 'EVERYPLAY' button on the title screen. .Decluster Zero is a remix version of bullet-hell shooter '.Decluster: Into The Bullet Hell'. With many remixes and new features: remixed soundtracks, modified mechanics, redesigned levels, and more.